5. When Sachin was fourteen, Sunil Gavaskar gave him a pair of his own ultra-light pads. However they were stolen when Sachin was at an Under-15 national camp in Indore. 6. 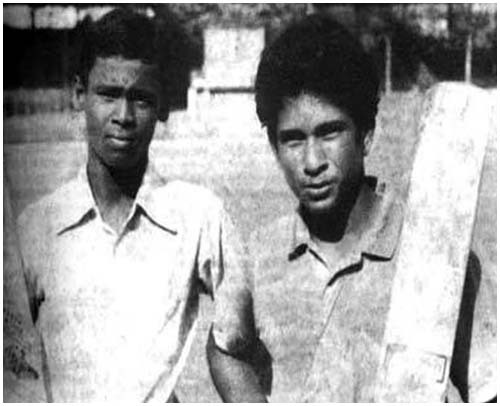 Dilip Vengsarkar gifted Sachin a Gunn & Moore bat after he was picked for the Bombay Under-15 team. 7. Sachin has 13 coins from his coach Ramakant Achrekar. He would win a coin if he could get through an entire session of nets without being dismissed. 9. Sachin wanted to be a fast bowler but was rejected by Australian great Dennis Lillee at the MRF Pace Academy at Chennai in 1987. 11. He was a ball boy during the 1987 World Cup semi-final between India and England at Wankhede. 12. He fielded for Pakistan as a substitute during a one-day practice match against India at Mumbai’s Brabourne Stadium in 1988. 13. Playing for his school Sharadashram against St. Xavier’s at the Azad Maidan in February, 1988, he was associated in the then world record unbroken stand of 664 runs with Vinod Kambli for the third-wicket. Both players remained unbeaten on 326 and 349 respectively. 14. He sang and whistled with Vinod Kambli during their 664-run record stand in the Harris Shield tournament in 1988 to avoid eye contact with the coach’s assistant who wanted to declare while the duo wanted to bat on. 15. Two wards in Delhi’s Tihar Jail were named after Sachin and Vinod Kambli, after the duo shared a 664-run unbroken partnership in a school tournament. 16. Gursharan Singh played with one hand (despite a broken finger) to help Sachin get a superb century in the Irani Cup game of 1989-90. 17. Tendulkar holds the unique distinction of scoring a century on debut in Ranji Trophy, Irani Trophy and Duleep Trophy. 19. Sachin was returning from India’s tour of England in 1990 when he met his future wife, Anjali, for the first time at the Mumbai airport. He was 17 then! 20. Sachin’s father-in-law, Anand Mehta, is a seven-time national champion in Bridge. 21. Sachin’s first man of the match in a Test was at Manchester in 1990 and he got Magnum champagne bottle as the prize. 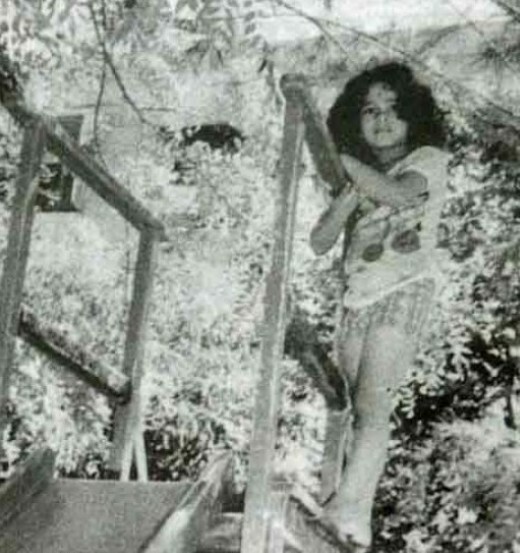 Sachin preserved it for eight years and finally uncorked it on his daughter Sara’s first birthday. 22. Sachin had to wait for 79 matches for his first ODI century on September 9, 1994. By that time he had scored seven Test hundreds. 23. He was without a bat contract during the 1996 World Cup in which he emerged as the highest run-getter. 25. In 1992, he became the first overseas player to represent Yorkshire county team. 27. On November 14, 1992, playing against South Africa at Kingsmead in Durban, Tendulkar became the first batsman to have been declared run out by a third umpire. 28. In 1997 Sachin was one of the five cricketers selected as Wisden Cricketer of the Year. 29. In 1998 Sachin was chosen for the 1997-98 Rajiv Gandhi Khel Ratna Award. 31. Tendulkar refused to do a Pepsi ad because it required him to smash cricket balls with a fly swatter. He told ad-film maker Prahlad Kakkar that this will project him as bigger than the game of cricket. The ad was modified and stumps replaced the fly swatter. 32. In 1999 Sachin was conferred “Padma Shri” – India’s fourth highest civilian honour. 33. During the 2007 Lord’s Test, one of the most popular British actors Daniel Radcliffe queued up for an autograph of Sachin at the end of the game. 34. 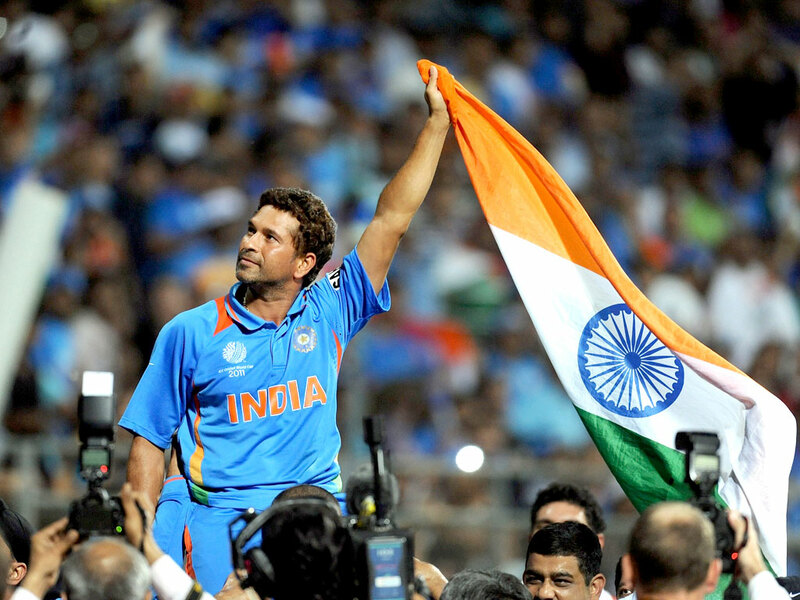 In 2008 Sachin was conferred Padma Vibhushan – India’s second highest civilian honour. 35. Launched in 2009 by a company founded by former investment banker Karl Fowler, a book on Sachin Tendulkar – Tendulkar Opus -has 852 pages edged in gold leaf with each page measuring 50cm x 50cm and weighs 37 kg. 36. In 2010, Sachin was conferred an honorary rank of the Indian Air Force which made him the first sportsperson to be conferred a rank by the IAF and the first personality with no aviation background to receive the hono ur. 38. 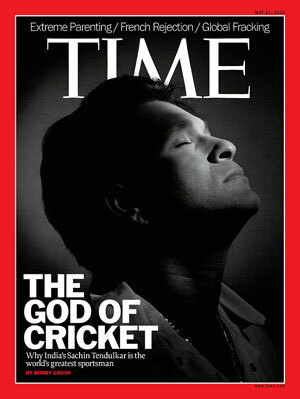 In the dressing room, he chooses his spot first -Sachin always occupies a corner. Once he has exercised his choice, others rush to take their places. 39. Sachin follows Roger Federer and Formula 1 and understands music and medicine. Is fond of seafood and can hold a conversation on the merits of different wines. 40. The team has a system of monetary fines for players coming late (to the bus or a meeting or a function) and for flouting the dress code. But Tendulkar has never had to pay up in 23 years. 47. 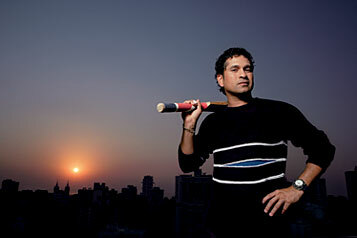 Sachin is the only Indian to find a place in Wisden’s all-time World XI. 50. In less than a year Sachin hit the one million follower mark to become the only Indian in the million-follower club. 53. Sachin scored a hundred (100*) for Mumbai against Gujarat at Mumbai in 1988-89 season on his first class debut, to then become the youngest to do so on debut in Indian first class cricket and the second youngest to score a hundred at the age of 15 years & 232 days. 54. He remains the only player to score century on debut in Ranji Trophy, Irani Trophy and Duleep Trophy. His scoring sequence were: 100 not out for Mumbai against Gujarat at Mumbai in 1988-89 in Ranji Trophy, 103 not out for Rest of India against Delhi at Delhi in 1989-90 in Irani Trophy and 159 for West Zone against East Zone at Guwahati in 1990-91 in Duleep Trophy. 55. 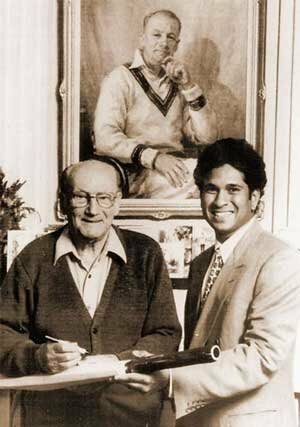 On his Test debut, Sachin Tendulkar was the third youngest debutant (16 years 205 days). Mushtaq Mohammad (15 years 124 days) and Aaqib Javed (16 years 189 days) debuted in Test matches at a younger age than Tendulkar. 56. 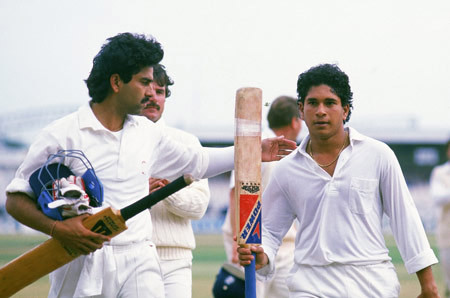 When Tendulkar scored his maiden Test century in 1990, he was the second youngest to score a century. Only Mushtaq Mohammad had scored a century at a younger age by 1990. Tendulkar’s record was bettered by Mohammad Ashraful in 2001-02 season. The record for previous youngest Indian centurion was held by Kapil Dev. 57. 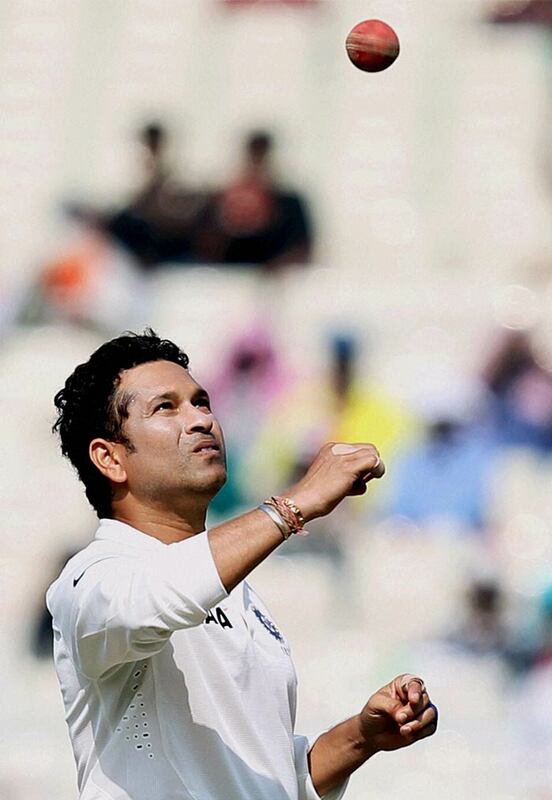 Sachin has played the most number of Test Matches (198) in Test cricket. 58. Sachin is the highest run scoring player in Test history with 15,837 runs. 59. Sachin has the distinction of scoring the most runs at any position in Test cricket. In 273 innings, he has amassed 13408 runs at his favourite batting position (# 4) with the help of 44 centuries and 57 fifties. 60. Highest number of Test centuries (51), overtaking Sunil Gavaskar’s record (34) in December 2005 vs Sri Lanka in Delhi. 61. Sachin has scored centuries against all Test playing nations. He was the third batman to achieve the distinction after Steve Waugh and Gary Kirsten. 62. Only batsman to have scored at least TWO centuries against ALL other Test playing countries. 63. The first ball Sachin faced in international cricket was bowled by Waqar Younis. Mohammad Azharuddin was his partner. 65. Is the only player to score Test centuries more than twenty years apart. Don Bradman’s first and last three-figure scores came 19 years 7 months apart. 66. His seven centu ries in 2010 are the most by an Indian batsman in a calendar year. 67. 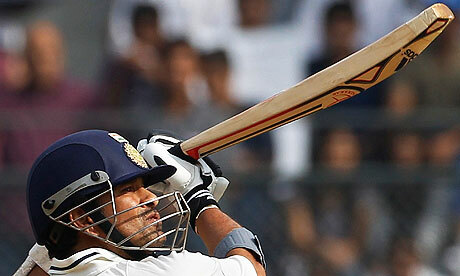 1562 runs scored by Sachin in Test cricket in 2010 are also the most by an Indian batsman in a calendar year. 68. 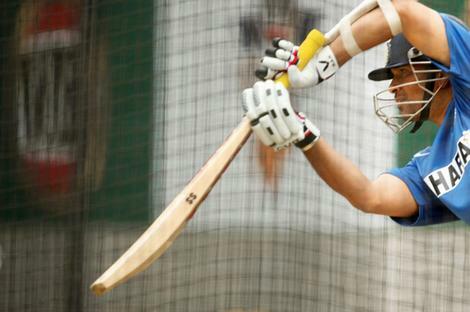 12 of Sachin’s Test hundreds have come after the age of 35. England’s Graham Gooch remains the only other player to have done so. 69. 15 of Sachin’s Test centuries came under Mohammad Azharuddin. 70. Tendulkar has the distinction of scoring most fifty-plus innings (51 centuries and 67 fifties = 118) which remains the world record for any batsman. 71. Holds the record of aggregating most runs in AWAY Tests (8705). 72. Is the first batsman to have aggregated 1,000 runs against SEVEN different countries in Test cricket. The only teams missing are Zimbabwe (918 runs) and Bangladesh (820 runs). 73. Holds the record of most runs in between two dismissals with 497 runs in 2003-04 season (spread across three Tests and five innings with the sequence of 241*, 60*,194* and 2). 74. First Indian to score 300 runs in a Test without getting dismissed. 75. Has crossed 150 on 20 occasions in Test cricket – most such instances for any batsman in Test cricket. 76. Has completed his hundred with a six on SIX occasions in Test cricket – a world record. 77. When he scored his 51st hundred, which was against South Africa at Cape Town, he became the first overseas batsman to have scored 5 centuries on South African soil. The previous highest was 4 Test centuries by Wally Hammond of England and Neil Harvey of Australia. 78. Sachin holds the record of aggregating most runs by an overseas batsman in two countries- Sri Lanka and Bangladesh. 79. Became the first player to surpass the 12,000, 13,000, 14,000 & 15,000 Test run marks. 80. Tendulkar is the fastest to reach the following thousand-run marks in terms of innings: 10000 runs (195 innings- joint record holder with Brian Lara and Kumar Sangakkara), 12000 runs (247 innings – joint record holder with Ricky Ponting),13000 runs (266 innings),14000 runs (279 innings) and 15000 (300 innings). 81. Holds the unique record of having appeared in most WON (70) and most LOST (56) Tests for India. 82. 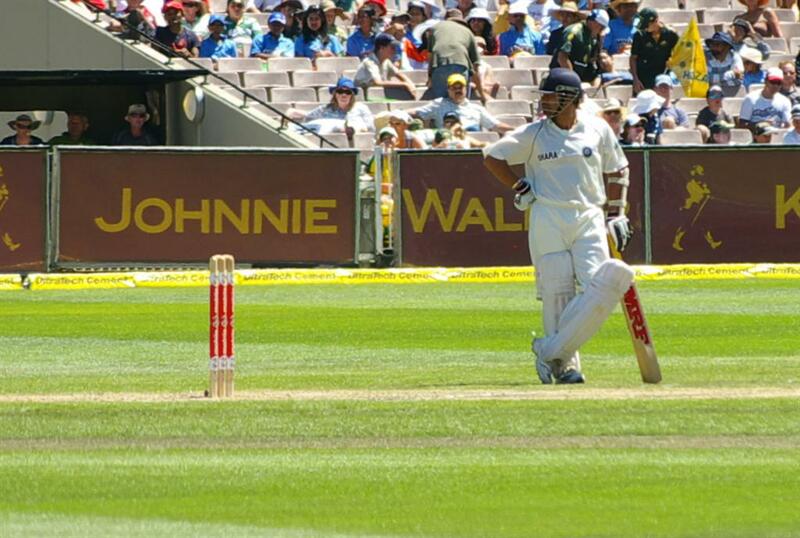 Sachin has been dismissed stumped only once in Test matches. The only occasion was against England at Bangalore in 2002. Just 10 runs away from his century,Sachin got irritated by Ashley Giles’ negative bowling (bowling well outside the leg stump) and wicketkeeper James Foster effected a smart stumping. 84. Sachin has been involved in 23 run-outs. He was out on 9 occasions and his partner on 14 occasions. 85. Steve Smith dismissed Sachin Tendulkar with the first and (so far) only ball he has bowled to him in Tests. 86. If Sachin’s final Test goes to the fifth day, Sachin would have a career span of 24 years 3 days- fifth longest for any player in Test annals and longest ever for a sub-continent player. 87. Sachin played his first 32 Tests on different grounds. 88. Sachin’s 14 man of the match awards are the most by an Indian in Test cricket. 89. Sachin’s 5 man of the series awards are the most by an Indian in Test cricket (along with Virender Sehwag). 90. Sachin Tendulkar and Rahul Dravid put on 20 hundred-plus stands in Test cricket. This is a world record for the most number of century partnerships by a single pair in Test cricket. 91. Despite being dubbed as a unsuccessful captain, averaged 51.35 in 25 matches in which he captained India. His average is the highest for an Indian captain with at least 500 runs to his credit. 95. Sachin hit 2 sixes off his first two balls in India’s fourth innings successful chase against Australia at Chennai in 2013. 96. Eleven bowlers have dismissed Sachin as their first wicket in Tests. They are: Hansie Cronje (South Africa), Ujesh Ranchod (Zimbabwe), Ruwan Kalpage (Sri Lanka), Mark Ealham (England), Neil Johnson (Zimbabwe), Jacob Oram (New Zealand), Monty Panesar (England), Cameron White (Australia), Peter Siddle (Australia), Peter George (Australia) and Andy McKay (New Zealand). 97. Sachin has never batted at number three in his entire Test career. He has opened once, batted 273 times at number 4, 29 times at number 5, 20 times at number 6 and 4 times at number 7. 98. Sachin has top-scored on 53 occasions in a completed innings- more than any other Test player. 99. Between November 1989 and June 2001 Sachin played 84 consecutive Tests without a break. 101. By an odd coincidence Sachin has aggregated same number of runs (5068) in match’s first innings as well as second innings. Incidentally Sachin holds the record of aggregating most runs in first and second innings of a Test. He has also scored most runs (1625) in match’s fourth innings. His tally of 2996 runs is the third highest in third innings of a Test. 102. Sachin has batted for 41113 minutes (685 hours 13 minutes) in Test cricket. Only Rahul Dravid has batted longer. 103. Six times Sachin has hit winning runs in a Test – most by an Indian. Only Ricky Ponting (9) and Desmond Haynes (7) have done this more often in Test cricket. 104. 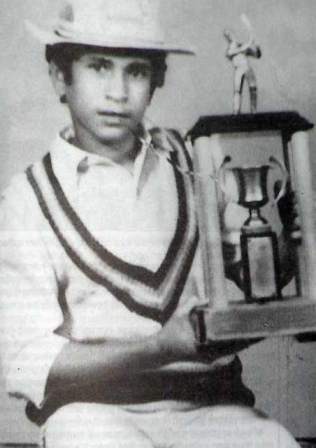 On his ODI debut, Sachin Tendulkar was the second youngest debutant at 16 years 238 days. Only Aaqib Javed had made his ODI debut at a younger age (16 years 127 days) than Sachin Tendulkar. 105. Sachin scored ducks in his first two ODIs, he ended his ODI career with innings of 114 and 52. 106. His 463 matches are the most by any player in ODI history. 107. 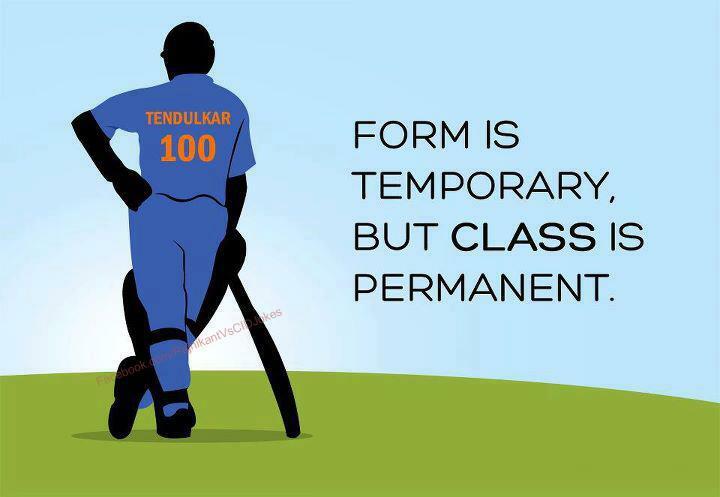 Between April 1990 and April 1998 Tendulkar played 185 consecutive matches – a World record. 108. Sachin played ODIs on 96 different grounds – most by any player. 109. First to play 400 innings in ODI matches. 111. He is the leading run scorer in the ODI format of the game and the only player ever to cross the 14,000, 15,000, 16,000, 17,000 and 18,000 run marks. 112. First player to reach 10,000-11,000-12,000-13,000-14,000-15,000-16,000-17,000 and 18,000 ODI runs. 113. 15,310 of his runs have come while opening the innings with the aid of 45 centuries and 75 fifties in 340 innings- most by an opener. 114. Was the first batsman to score a double century in ODIs (200* against South Africa at Gwalior on Feb 24,2010). 115. Is the only player to have made three scores of 175 or more. 116. Is the only player with five scores of 150 or more. 118. Scored over 1,000 ODI runs against all major teams. 119. Is the first batsman to score over 3,000 runs against an opponent (3,077 runs against Australia).Since then he has also done this against Sri Lanka (3,113 runs). 120. His 49 centuries are easily the most by any batsman in ODIs. Ricky Ponting is distant second with 30. 121. His nine centuries against Australia are the most by any player against a particular country. He occupies the second place too, with eight centuries against Sri Lanka. 122. Is the only Indian to score a century on ODI captaincy debut (110 v Sri Lanka at Colombo RPS on 28-08-1996). 124. Highest number of 50+ scores in ODI’s – 145 (49 Centuries and 96 Fifties). 125. First player to have scored over 100 innings of 50+ runs. 128. Most ODI runs in a calendar year: 1894 ODI runs in 1998. 130. Sachin Tendulkar with Sourav Ganguly holds the world record for the maximum number of runs scored by the opening partnership. They put together 6609 runs in 136 matches that include 21 century partnerships and 23 fifty run partnerships. The 21 century partnerships for the opening pair is also a world record. 131. Sachin Tendulkar and Rahul Dravid hold the world record for the highest partnership in ODIs when they scored 331 runs for the second wicket against New Zealand in 1999-00 at the Hyderabad. 132. Sachin was the first Indian player to score a century and capture four wickets in the same ODI (v Australia at Dhaka on October 28, 1998). 133. Had the longest career span (22 years 91 days) for any player in ODIs. 134. Sachin play ed ODIs with 866 players (123 teammates and 743 opponents) – most for any player in ODI history. 135. Sachin was dismissed on 99 on three occasions in ODIs – most such occasions for any batsman. Interestingly all these instances came in 2007. 136. In his first two ODIs Sachin was unable to even open his account. He got out off the second ball in both the matches. 137. 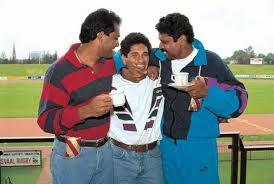 Sachin’s first six in ODIs was against England at Leeds in 1990 (off Eddie Hemmings) in his sixth match. 139. In 1998 Sachin scored 12 international hundreds – most by any batsman in a calendar year. 140. Sachin’s first six in Tests was against South Africa at Cape Town in 1993 (off Omar Henry) in his 32nd innings.141. In Tests, December has been Sachin’s most productive month. The little master aggregated 2866 runs in 36 Tests averaging 47.76.142. In Tests, Sachin has scored most centuries in the month of January- 10. His average of 72.91 is also his best for any month. 143. In ODIs, March was Sachin’s most productive month. He aggregated 2818 runs in 61 matches at an average of 51.23 in this month. Sachin also scored most centuries (8) in March. 144. Sachin has crossed 150 or more in ODIs on five occasions– most by any player. 145. In ODIs, July was Sachin’s best month average-wise. In 25 matches Sachin’s average was 52.33 while aggregating 942 runs. March (51.23) and June (51.20) were the other months in which Sachin averaged 50 or more. 146. Sachin was the first batsman to score a double century in ODIs (200* against South Africa at Gwalior on Feb 24, 2010). 147. Sachin remains the only Indian to score a century on ODI captaincy debut (110 v Sri Lanka at Colombo RPS on Aug 28,1996). 148. In his ODI career Sachin Tendulkar played with 123 different team mates. 20 of them had made their ODI debut before Tendulkar, while 101 made their debut after Tendulkar. Two players- Salil Ankola and Vivek Razdan- made their ODI debut along with Tendulkar. 149. Sachin played 245 ODIs with Anil Kumble and Rahul Dravid, 238 with Sourav Ganguly, 223 with Mohammad Azharuddin and 204 with J avagal Srinath. 150. Venkatapathy Raju played all his 53 ODIs alongwith Sachin! 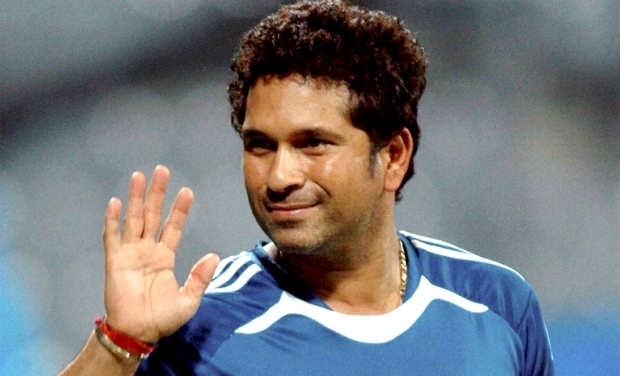 151.Only six Indian bowlers have taken more four-wicket hauls than Sachin’s six in ODIs. 152. Nearly 25% of all centuries made by ALL Indian batsmen in ODIs had come from Sachin’s bat when he retired from this format in 2012. 153. Is the only batsman to aggregate 1,000 or more runs in a calendar year in ODIs on seven occasions (in successive years from 1996 to1998, in 1994, in 2000 and in 2003). 154. Holds the distinction of scoring most runs and hundreds in a calendar year in ODIs. Tendulkar aggregated 1894 runs in 34 matches with nine hundreds in 1998. 155. Only the second player (after Javed Miandad) to appear in SIX World Cups – from 1992 to 2011. 156. Most runs (2278) in World Cup history including 6 centuries & 15 fifties with a best score of 152 against Namibia in 2003 world cup. 157. 673 runs in 2003 Cricket World Cup, highest by any player in a single World Cup. 159. His 6 centuries are the most hit by any batsman in the World Cup. 160. His 21 fifty-plus scores (6 hundreds & 15 fifties) are the most by any batsman in World Cup. 162. Only player to aggregate 500 runs in two editions of the World Cup (673 in 2003 and 523 in 1996). 163. Has won 9 Man of the Match awards in the World Cup – most by any player. 164. Only player to score four consecutive 50s on TWO occasions (in 1996 & 2003). 165. Holds the record of scoring the fastest fifty by an Indian in the World Cup (off 26 balls v Bermuda in 2007). 170. Sachin ended a one-dayer on winning note with a six on two occasions – against Sri Lanka at Sharjah in 1995 (off Champaka Ramanayeke) and against England at Kanpur in 2002 (off Jeremy Snape) . 171. The most runs Sachin has scored in one over in ODIs is 24 off New Zealand’s Chris Drum at Hyderabad in 1999-00. Sachin hit one six, four boundaries and a couple. The four extras made it a 28-run over for team India. During the World Cup game against Sri Lanka at Delhi, Sachin scored 23 runs off one over from Ravindra Pushpakumara. 172. Sachin’s 134 against Australia at Sharjah in 1998 still remains the highest ODI score by any player on his birthday. 173. In 1998 Sachin won 12 man of the match awards in ODIs – most by any player in a single calendar year. 174. Sachin’s fastest knock in ODIs is 57* off 29 balls (SR 196.55) against Bermuda at Port-of-Spain in 2007. 175. Sachin was involved in a record 99 century partnerships in ODIs with 21 different partners– most for any player. 179. 16 bowlers dismissed Sachin as their first ODI wicket! 180. Sachin Tendulkar is the only cricketer to have achieved the unique double of scoring 15,000+ ODI runs and taking 150+ ODI wickets. 197. The 50108 runs sco red by Sachin in all recognised cricket (first-class, list A and Twenty20s) are the most by a sub-continent player.